Star Wars: The Last Jedi is almost here! And Lucasfilm and Disney are giving you multiple ways to celebrate the film’s release. The studio announced three events happening on Thursday, December 14. First off, Lucasfilm vaguely announced that there will be a Star Wars opening night fan event. Unfortunately, no other details were announced for the event. Secondly, there will be a Star Wars: The Force Awakens and Star Wars: The Last Jedi double feature. Finally, there will a Star Wars Marathon featuring all eight saga films. Fans that attend these events will see exclusive content and will receive a set of collectible cards and a special concession offer. In addition, Star Wars: The Last Jedi will screen at 6 PM local time. Yes, that’s one hour earlier than the regular public show times. Every Sunday, from December 17-January 7, guests who purchase a ticket to see Star Wars: The Last Jedi in IMAX at AMC Theatres will receive an exclusive print from artist Dan Mumford. These prints are limited so get them while supplies last. Also, be sure to check back every week as a new poster will be revealed weekly. Each Saturday, from December 16-December 30, the first 500 guests who experience Star Wars: The Last Jedi in IMAX at Regal Cinemas will receive an exclusive collectible ticket featuring unique art. These tickets are limited so get them while supplies last. Be sure to check back weekly as a new art will be revealed every week. For a limited time, Cinemark Connections loyalty members can purchase a Star Wars: The Last Jedi RealD 3D ticket to unlock a free pair of 3D Star Wars glasses. For Alamo Drafthouse, you can add exclusive Star Wars: The Last Jedi collectibles to your ticket purchase. These include a commemorative all-Star Wars issue of Birth.Movies.Death and three incredible Mondo-designed glasses. However, this promotion is available for a limited time only. Moviegoers who purchase Star Wars: The Last Jedi movie tickets via the Atom Tickets app or at the site will be able to buy official Star Wars merchandise in a single, seamless transaction. Those who purchase the merchandise can have it shipped to their homes in time for the film’s opening weekend. Those fans who buy Star Wars: The Last Jedi tickets on Fandango will receive a gift with their purchase. 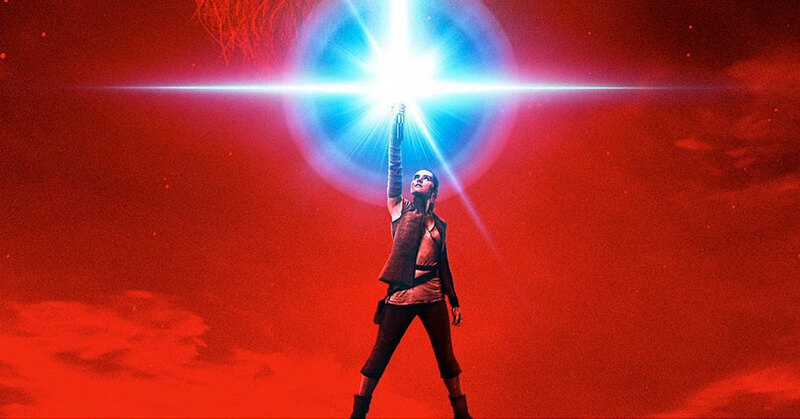 Fandango buyers will receive an exclusive Last Jedi movie poster from Fandango FanShop, while supplies last. So which Last Jedi perk are you looking forward to? Be sure to talk about it in the comments section below!